September 23, 2013 September 23, 2013 - by Ashley Hansberry - 2 Comments. 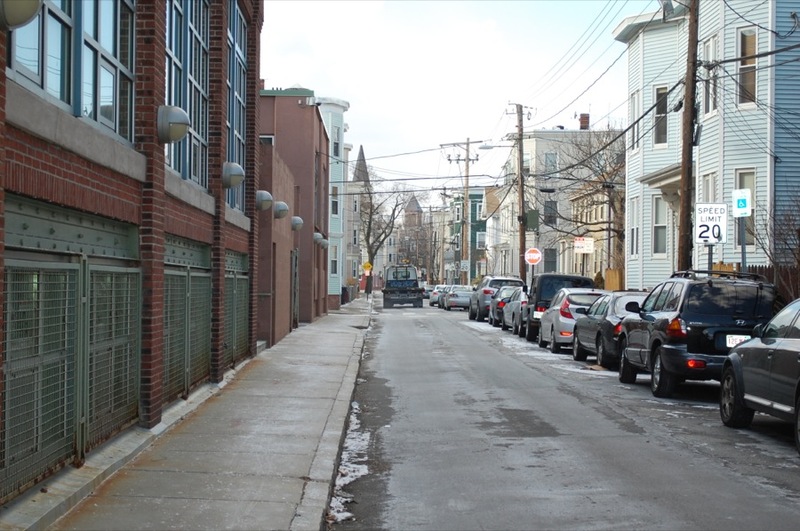 True to its nondescript name, Area IV in Cambridge does not immediately project a unique identity. 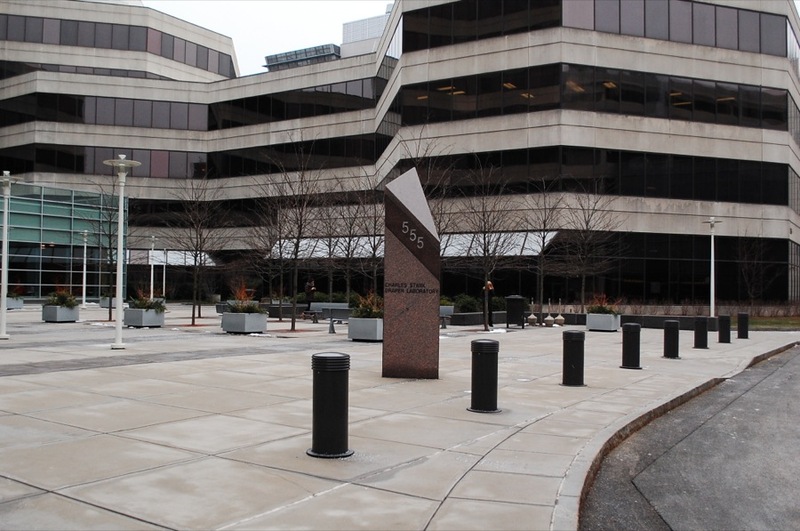 The space between Central, Kendall, and Inman Squares, however, has resisted branding for 60 years. Part aging colonial homes, part high modern office buildings, Area IV seems to serve as overflow for its more iconic surroundings. While it is not yet a cultural hot-spot or a central gathering place, Area IV is still exemplary of the Cambridge neighborhood spirit. The boundaries of Area IV are clearly defined by several well-known streets and squares. Massachusetts Avenue, running from the MIT campus to Central Square, is almost always active. 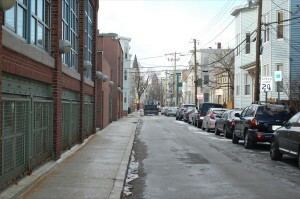 Area IV’s northern region, near the triangular intersection of Prospect Street and Hampshire Street, is largely residential. 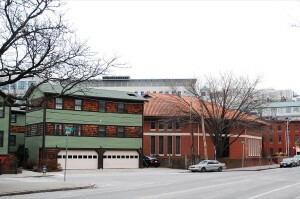 The dense residential area subsides in the south, as Hampshire Street meets Technology Square and with it, an influx of biotechnology high rises. 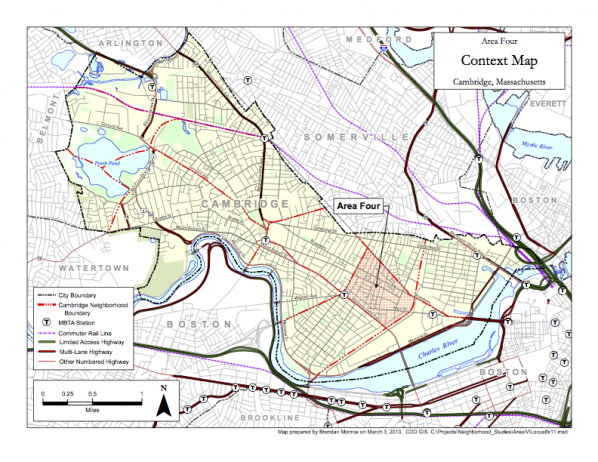 Because its land use is varied and dense, Area IV is a center for tension between opposing forces.1 This tension has primed the neighborhood for gentrification in the past 20 years. Gentrification, as defined by Maureen Kennedy, is the “process of neighborhood change that results in the replacement of lower income residents with higher income ones.”2 A strong economy, government efforts at revitalization, and an “increased concentration of poverty in the urban core of our nation’s cities,” drive the process of gentrification in modern cities, as city officials look to bring “high income families” into low-income areas in need of renewal.3 Gentrification, besides replacing lower income residents with higher income residents, also disproportionally results in the replacement of ethnic minorities. 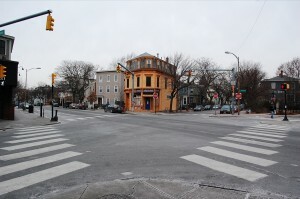 Low-income neighborhoods with high populations of “working-class, ethnic families,” says Timothy James Pattison, are particularly suspect to the invasion by a new population of gentrifiers.4 Along with increased wealth, gentrifiers5 are generally younger than the incumbent population, and with smaller families along with them. By these metrics, Area IV is certainly undergoing gentrification. During a 1980 Cambridge neighborhood study, the population in Cambridge was 82% White, compared to 56% in Area IV. Both the Black and Hispanic populations in Area IV were nearly three times larger in proportion.7 In the 1990 and 2000 studies, the minority population continued to increase. The residents of Area IV were not only ethnically diverse, they were also often low-income families. In all three studies, from 1980 to 2000, the median household income in Area IV was under the median income for the city by $10,000 or more. Poverty levels in Area IV were 10% or more higher than city averages.8 On all fronts, by 2000, Area IV closely resembled Kennedy and Pattison’s descriptions of neighborhoods susceptible to gentrification by a new, younger, wealthier population. 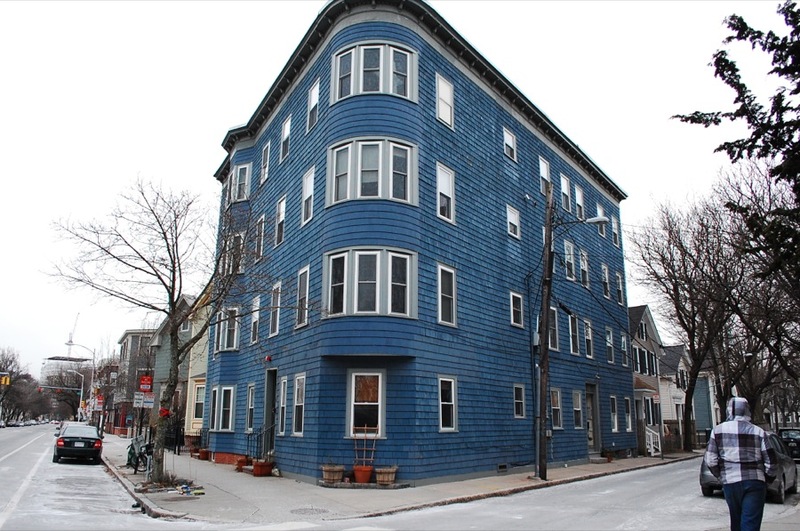 The lack of affordable housing saw attention from the activists in the academic community of Cambridge, as well as Mayor Menino and his commitment to solving the problem. 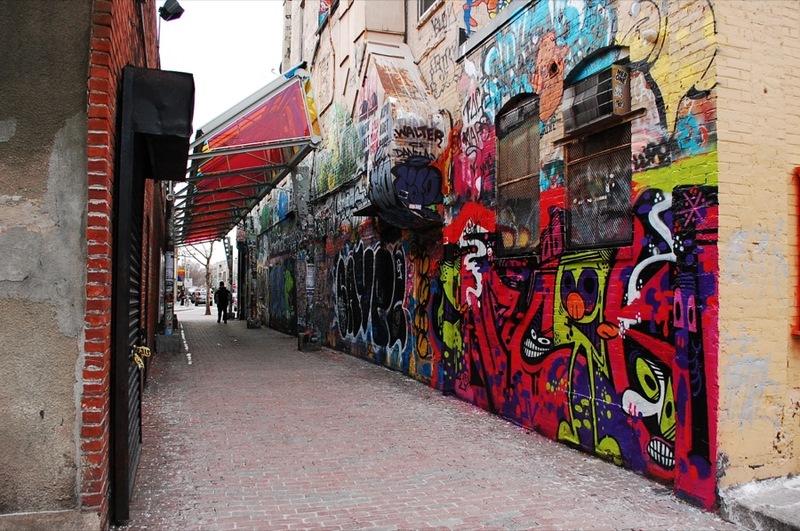 Now, mediating the effects of gentrification is at the forefront of the city’s concerns. 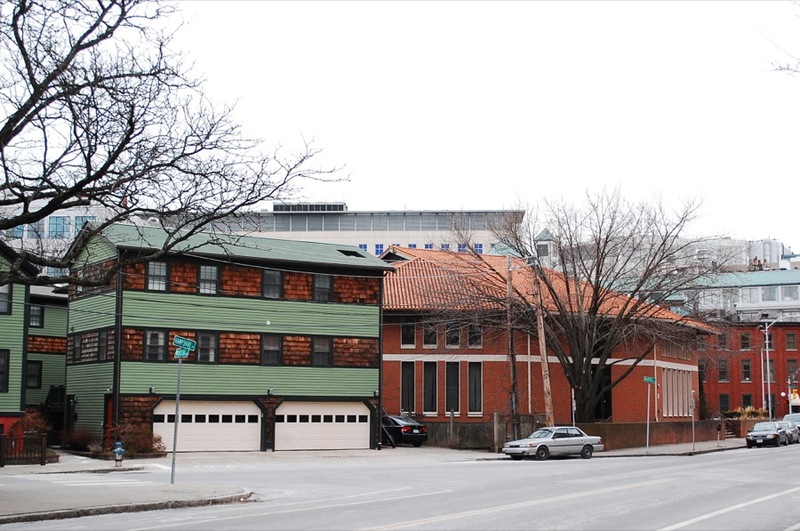 The city has since tried to provide affordable housing that has, in many ways, replaced once rent-controlled units for lower income residents in Area IV. 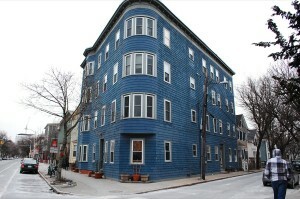 Affordable housing that is either state or federally funded or regulated makes up a greater percentage of housing, at 36%, than in any other neighborhood in Cambridge.15 Serving the “low to middle income” families who are typically “underserved by the private housing market,” these affordable housing options make up a large part of the landscape in Cambridge. While in a 2010 neighborhood study, many Area IV residents felt that the affordable housing benefited the mixed-income residents, many also felt that the area was developing too high a concentration of affordable housing.16 They felt that some of the units were too poorly maintained and didn’t look attractive enough for the neighborhood.17 These low-income housing options sitting directly next to the modern office buildings in Technology Square offer obvious evidence of Area IV’s gentrification. Despite the complaints by incumbent residents, a newer, wealthier population is certainly thriving in Area IV. Cambridge has long been a center for academia and education and, in recent years, technology companies have flocked to surround MIT. As of June 2011, half of Cambridge’s top ten employers are located in or around Area IV, with MIT ranking second on the list. All top ten employers, apart from jobs in government or education, are based in biotechnology or medical science.18 These high earning, high achieving companies bring wealth and intelligence to Area IV. By 2011, 73% of the population had at least a bachelor’s degree and 43% had some graduate degree.19 Considering only 11% of the population nationally has a professional degree, this is extraordinary. Of those aged 25 to 44, 12% had an income below 1.5 times the poverty line, compared to 17% of those aged 45 to 64.20 This population of young, educated, and wealthy individuals now characterize Area IV and are exactly the population described by Pattison and Kennedy to be the gentrifiers of modern cities. Instead of widespread urban renewal, the wealthy population creates pockets of wealth in trendy neighborhoods, not revitalizing cities as a whole. In Area IV, this new neighborhood growth is obvious. More stores are opening that are particularly catered toward the gentrifiers, that sell technology driven, ecologically conscious, luxury goods. The dichotomy between technology driven and ecologically conscious is observable in many businesses throughout Area IV.21 The self proclaimed “double-duty […] bakery/coffeehouse” and “bar/oven,” Area IV, located in Technology Square, exemplifies the combination. On one hand, the architecture is modern and metallic and the clientele is largely from MIT. The sleek environment, however, is centered on “two custom wood-fired ovens that anchor the restaurant.”22 The restaurant prides itself on using sustainable, organic ingredients and its use of local ingredients and chefs. A similar pairing of artistic and technological is found at Danger!Awesome, a custom laser engraving shop on Prospect Street. Customers at the laser shop can get nearly anything engraved and can even take classes to learn to use the lasers themselves. Even nationally famous Toscanini’s Ice Cream caters to the gentrifier class, with luxury house-made ice cream and a cafe environment with Wi-Fi for internet browsing. Though the wealth hasn’t yet spread through all of Area IV, the growth of pockets of shops and businesses that cater specifically to this new population is the easiest to identify result of gentrification in Area IV. In recent years, the new demographic that has grown in Cambridge is younger, wealthier, and more educated than any previous population. For Area IV, with a historically mixed-income and ethnically diverse population, gentrification was an inevitability. As the cost of living in Cambridge increases due to the limited availability of housing and desirability of the area, low-income residents and their homes have to make way for a higher income population with sometimes opposing needs. As gentrification causes these two populations to collide, Area IV develops an increasingly varied character that is neither overwhelmingly lower or upper class. 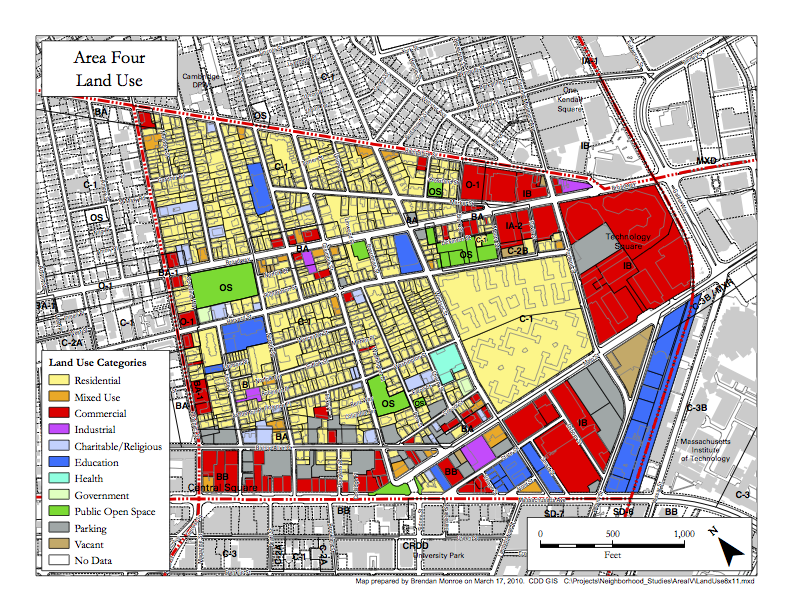 In this way, Area IV provides a model for understanding the changes that have occurred in Cambridge and parts of Boston due to gentrification in the past 20 years. Ashley Hansberry (CAS '14) is the Senior Editor at The Quad. She is a senior studying Computer Science and Linguistics who likes writing about robots, technology, and education. When she's not living in the computer science lab, you can find her wearing animal earrings or admiring puppies she sees on the street. area 4 is the best cambridge walker, public transport, experience. ’tis a heartbeat walk from from all the lovely squares that make up the cambridge experience. even boston is walkable to. For a landlord or a tenant,this place is booming. add to it, the high tech development, area 4 has gotten very, very desirable. hard to find a vacant rental here. all the young professionals gravitate here. if you want to own a home here, you fend off multiple buyers. it is a seller’s paradise, a buyer’s nightmare. if you are in north or west camb, you are cut off from all the luxury of touching cambridge so easily, so also if you’re in east, the inman area does not have the redline, area 4 has it all. this seems like a sudden realization after decades. the old identities are blurring, and the younger, hipper populace prefer area 4.